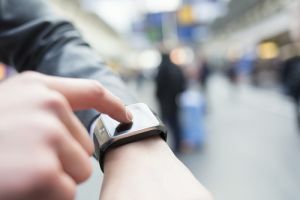 Over recent years, wearable technology has expanded into many households, with products such as the smart watch becoming commonplace amongst consumers. 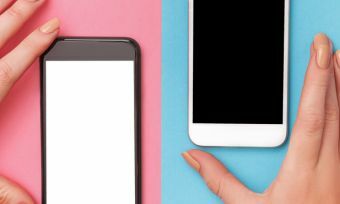 The futuristic feeling of having a smartphone on your wrist, as well as the benefits of staying connecting without your phone, has been too hard to resist, with plenty of companies jumping into the market. While not a new concept, with the term ‘smart watch’ going back to the early 90s, it’s only been over recent years that the concept has really grown and improved. With the device becoming more and more popular and convenient in the modern world, it may be the best time to invest in the latest smartwatches in the New Zealand market. Smart watches are essentially smartphones or computers that fit on your wrist, keeping you up to date with the world, as well as helping you with errands, reminders and day-to-day activities. Traditional smart watches have a small electronic display, similar to the lock screen on your phone, with notifications popping up as they come through. As they have progressed over time, smart watches now usually includes the functionality to call or message contacts, search the internet, play music and even help you on your fitness programme and track your sleep pattern. More recently, a line of smart watches called Hybrid smart watches have been designed for those who like the aesthetic of the traditional hands-on-the-dial, but also want to be kept in the 21st century. As a result, there are a lot of options out there, which can make it a bit tricky when it comes to finding the best fit for you. Who offers smart watches in New Zealand? As with any electronics release, the usual big names are here, with some lesser known brands and even fashion labels getting in on the action. Below are a few examples that can be found in New Zealand. Recently releasing the Series 4 model, Apple has looked to dominate the smart watch market with its consumer familiarity and recognition. This model has more of a focus on health, making it easier to train while monitoring the heart. With such a large market share in mobile phones and computers, smart watches seem like an easy step for the technology giant. But be ready to dip into your savings, with the most expensive Apple model pricing at just over $2,000. Thankfully, Apple has a wide range for those not looking to break the bank, with other, more reasonably priced, models easily available. Samsung is another of the tech giants getting in on the smart watch market, with the Korean company offering smart watches at a cheaper price compared to Apple. While the range is not as its rival – Apple – Samsung does provide enough features to get consumers excited, regardless of how they use their watch. The Samsung smart watch comes in three different colour options It also appears as the usual analogue watch, which makes it perfect for those wanting the design of the traditional watch but with the modern tech tools. Garmin provides smart watches for the athletes and adventurers of us, with its multi-sport capabilities and built in GPS catered for the outdoors. Its more prominent model, the Fenix 5x Plus Sapphire, includes a sensor for blood oxygen saturation awareness at high altitudes and colour TOPO maps with Trendline routing to assist in showing you the best paths. And depending on settings, the battery life lasts up to 20 days in smartwatch mode and 13 hours in GPS mode with music, ensuring you have the help of this gadget on those long hikes. But this specific Garmin model is at a hefty price at just under $1300 so it’s best to make sure you’ll make use of these features before making the purchase. Fossil, a more traditional watchmaker who pride itself on a vintage aesthetic updated to suit the modern world, Fossil has kept up with technology, producing a range of smart watches and hybrid watches in both men and women’s designs. For the more aesthetically conscious, Fossil may be a better option due to their expertise within the watchmaking industry, but don’t let that fool you into thinking they can’t mix with the best of them. It’s best to compare features to see if the Fossil smart watch is more suitable to your lifestyle. The brand more associated with fitness and heart monitors is FitBit who have a range of smart watches for those on the go. The “Ionic” smart watch range combines the features FitBit has become known for (dynamic personal coaching, built-in GPS and continuous heart rate), as well as functions that embody the modern-day smart watch. Cheaper than most brands, FitBit may be a good suit for those who are keen on their fitness, but want a bit extra. When it comes to wearable technology, it’s really no surprise that fashion labels are expanding into the market, with smart watches becoming half fashion statement and half tech product. While not heavily focussed on the technology side as other smart watches, Michael Kors watches stand out from the crowd with its design, great for those who don’t mind a bit of bling. Offering a few varieties, Armani is, again, for the fashion lover rather than the tech lover, with the company banking on the image and design of its product rather than the technological capabilities. Compatible with both IOS and Android operating systems and phones, Armani smart watches boast multiple customisable faces and a few options for bands. Aiming to keep the iconic look of Armani watches, this brand is still delving into the world of smart watches, connecting its customers through fashion. Armani is not the cheapest option on the market, but for a high-end fashion brand, that’s what you’d expect. Smart watches are a handy piece of technology, allowing users to go anywhere without their phone (something we’re not used to) and stay up to date, and in charge. Users don’t have an extra item to carry throughout the day and this reduces the risk of losing our expensive smartphones when out and about. With long battery lives, it may also act as an escape for those glued to their phones. But, despite it being useful in some situations, it may not be a necessary purchase for everyone. It’s best to think about whether or not the smart watch fits into your lifestyle and if it’s worth the extra cost. As with any big electronics purchase, it’s best to do your research, as products and brands all have different advantages and disadvantages. The added area to be aware of is that the smart watch is as much about the looks as it is about the technology. So, for the fashion-savvy, it does add another complexity to the decision-making process.